CHICAGO – LaSalle Network, a national staffing, recruiting and culture firm that has won more than 70 company culture awards, is now helping other organizations improve their corporate cultures through its newest service line: Culture 20/20. LaSalle Network has always believed employees should love where they work for the right reasons, and has seen firsthand the impact engaged employees can bring to an organization’s growth. LaSalle Network has coupled record employee engagement levels with organic revenue growth annually since inception in 1998, and through its new practice, Culture 20/20, LaSalle is setting out on a mission to help other companies do the same. Culture 20/20 aims to help companies of all sizes and across industries understand where the opportunities for improvement in their cultures are by examining five key components: connection to team, connection to leadership, identification and alignment, transparency, and learning and development. Spending nearly two decades advising clients on talent attraction and retention, LaSalle Network has solidified its place as a leader on company culture insight. Not only does Gimbel contribute on the topic for top media outlets including CNBC, The Wall Street Journal, Fortune and Inc., but the company has also been recognized for its own achievements in company culture. To find out more regarding Culture 20/20, contact Jessica Schaeffer at 312-496-6561, or jschaeffer@lasallenetwork.com. For more information on LaSalle Network, please visit lasallenetwork.com or contact Anna Niesen at 312-517-7023, or aniesen@lasallenetwork.com. LaSalle Network is a national staffing, recruiting and culture firm with business units that specialize in accounting and finance, administrative, call center, healthcare revenue cycle, human resources, marketing, sales, supply chain, technology and executive search. Since inception in 1998, LaSalle has worked with thousands of clients and placed thousands of candidates in temporary, temporary-to-permanent and permanent positions. Its newest offering, Culture 20/20, works with companies of all sizes and industries to help them focus on what matters: Culture. Performance. Results. 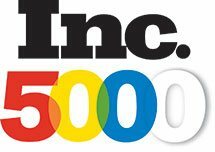 LaSalle Network has been listed on Inc. Magazine’s 500/5000 “Fastest Growing Privately Held Companies in America” list for 10 consecutive years, named by Staffing Industry Analysts’ as a top five “Best Staffing Firms to Work For” from 2011 to 2017, Glassdoor’s 2016 “Best Places to Work,” Inc. Magazine’s 2016 “50 Best Workplaces,” and Crain’s Chicago Business’ “Best Places to Work” list from 2014 to 2017. The firm has offices in downtown Chicago, Oak Brook and San Francisco. For more information, please call 312-419-1700 or visit www.lasallenetwork.com. February 14, 2017 – Tom Gimbel, LaSalle Network founder and CEO, gives insight into how managers can conduct performance reviews with millennias. Click here to read. October 26, 2015- Allison Penning, Manager of LaSalle Network’s San Francisco branch, explains what millennials are looking for in their job search to Fortune Magazine. Read the full article here.